The Meccano Exhibition will be held over the second weekend in October. Details of opening and closing times are shown below. 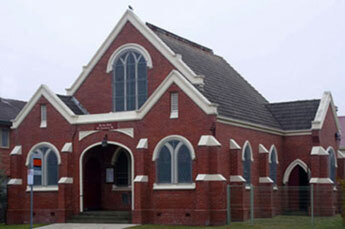 The hall is 500 metres due east of Gardenvale Railway Station. Three bus routes stop outside the door -- Route 630, Elwood-Monash University via Gardenvale Station, Gardenvale Road and North Road; Route 22, Sunshine-Gardenvale via City, Southbank, Prahran and Elsternwick; Route 605, Gardenvale-City via Richmond, South Yarra, Toorak and Kooyong Road.